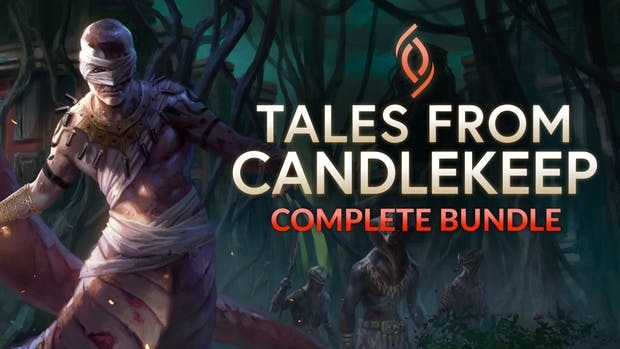 Dare to venture deeper into the deadly jungles of Chult with the turn-based dungeon-crawling Tales from Candlekeep Complete Bundle. Play with all the Heroes and their DLCs, including Qawasha the Human Druid. Get legendary items, additional gold pieces, custom d20 dice rolls, as well as crafting materials to help you in your perilous adventure!